In addition to the standard features Call Center Agent provides agent optimized interface with lots of features that will make their day a lot easier and drastically more productive. With PBXware call center edition there are two options to be part of a queue. The member option is where the admin assigns a phone to a queue and is always-on. The member does not have login / logout permissions. The alternative is using agent login, this option would allow an agent to login / logout from their desk and also pause their session for a period of time. 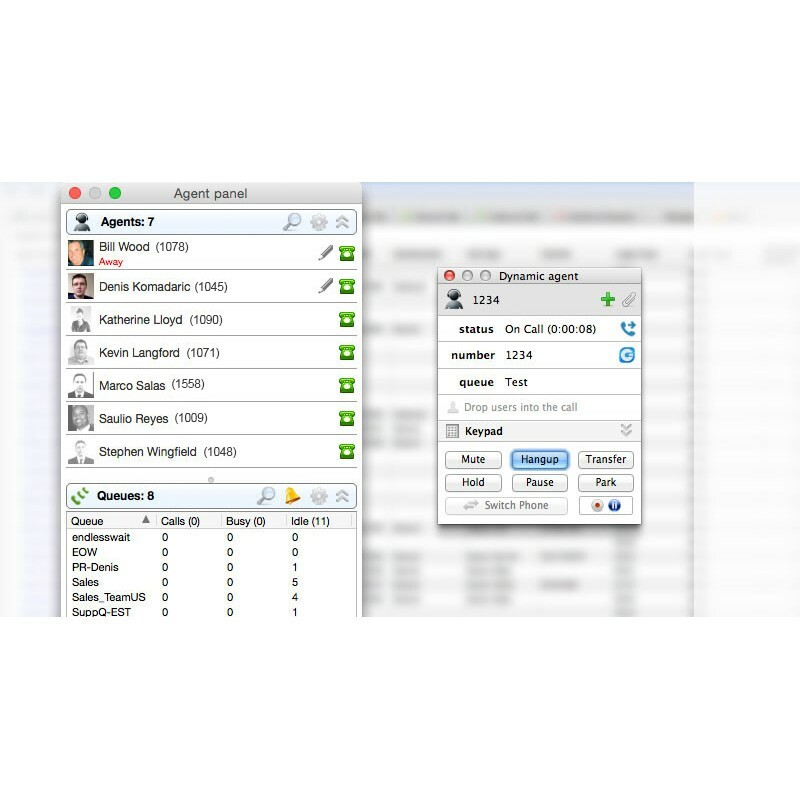 Agent login has two modes, callback and dynamic agent login. The dynamic login option allows an agent to login remotely into the queue and wait for the next call while listening to music on hold. Callback login is the traditional call center configuration where an agent will answer a ringing phone to be joined with the waiting caller. Everything you need, where you need it, when you need it. With gloCOM agent edition alongside with the CRM addon the agent can have the caller’s information pushed to a CRM application where it will pull the records and display it to the agent. Having visibility is crucial inside the agent panel, simple queue statistics and agent status will allow the agent to have the “know” to what is going on with their colleagues.